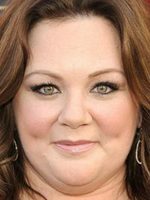 Melissa McCarthy was born in Plainfield, Illinois. His mother is called Sandra and her father Michael McCarthy, a agricultor.La fame came with his role as Megan in the 2011 comedy 'Bridesmaids', for which he received numerous award nominations, including the Academy Award for Best Actress, a BAFTA and a Screen Actors Guild Award for Best Actress. 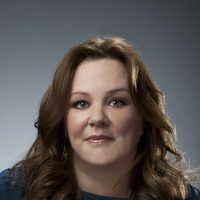 In 2013, McCarthy co-starred in the crime comedy "In the face 'with Jason Bateman and' special forces', another detective comedy with Sandra Bullock. In 2014 co-he wrote the screenplay for the film 'Tammy' in addition to star. That same year he premiered 'St. Vincent ', which stars opposite Bill Murray and Naomi Watts. But it is also present on television. 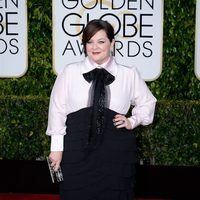 Since 2010 stars in the CBS series 'Mike & Molly', where he plays the lead role as Molly Flynn. Future projects highlight blunts more will arrive in the remake of the hit 2016 movie 'Ghostbusters', which will feature women. In his personal life, McCarthy married her longtime boyfriend, Ben Falcon, the October 8, 2005, with whom she has two daughters. 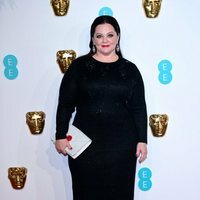 Melissa McCarthy has been active for 12 years, participating in 18 movies that average a 6.5/10 score.